A boatsman who ran aground in gale-force weather was airlifted to safety by the UK Coastguard search and rescue helicopter from Walpole Bay, Kent yesterday morning. UK Coastguard has praised members of the public for ‘saving his life’ by alerting rescuers to the man’s plight shortly before 9am on 7 November. 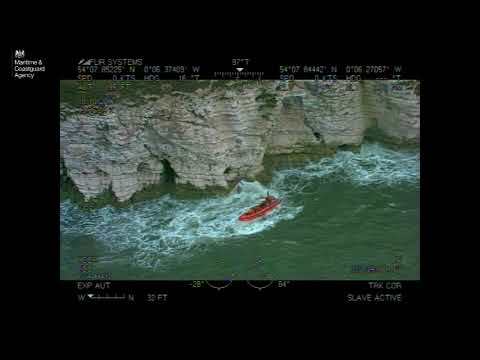 Upon receiving multiple 999 calls reporting that the small angling boat had run aground on rocks, the Coastguard made immediate contact with the vessel using Channel 16 – the designated emergency channel – and established that the boat was taking on water and the person was wearing a lifejacket. 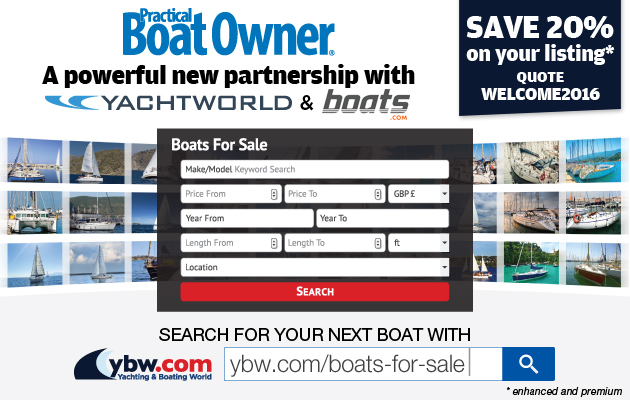 Although the vessel was only a short distance from shore, the lifeboat was unable to be tasked due the boat’s precarious position on the rocks and the gale-force 9 weather and rough seas. The UK Coastguard helicopter at Lydd was immediately sent to the scene, along with the Margate Coastguard Rescue Team who tried to stabilise the vessel with ropes. The vessel, which had left Canvey Island and was heading to Ramsgate before it grounded, eventually had to be abandoned due to the bad weather and the man was winched on board the helicopter and taken safely to shore. Despite his ordeal he was uninjured and did not require medical treatment. 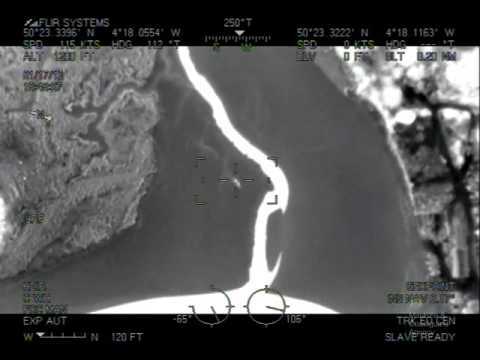 Al Dale, Captain for the UK Coastguard Lydd search and rescue helicopter said: ‘The person appeared to have been caught out by some atrocious conditions this morning and as a result, the vessel had run aground just off Margate. Bev Allen, duty controller for the UK Coastguard said: ‘This was a challenging evacuation in very bad weather. Thankfully, the person on board was wearing a lifejacket in case the worst should happen, but our helicopter and Coastguard Rescue Teams arrived quickly on scene and were able to bring him to a place of safety. ‘We’d like to thank all the members of the public who vigilantly reported this incident to the Coastguard – as their actions undoubtedly saved his life today. Margate Coastguard Rescue Team have now stabilised the vessel and made it safe.